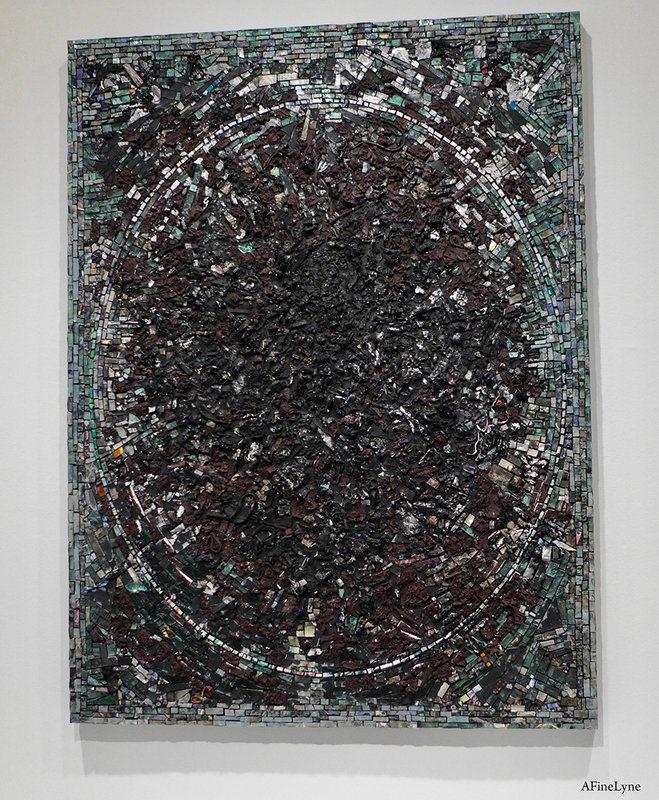 Jack Whitten moved to New York in 1960, fleeing the racial violence of the Jim Crow south. He enrolled at the Cooper Union, pursuing his study of African art. Included in this exhibition will be Whitten’s entire Black Monolith series (1988–2017), displayed together as a group for the first time. 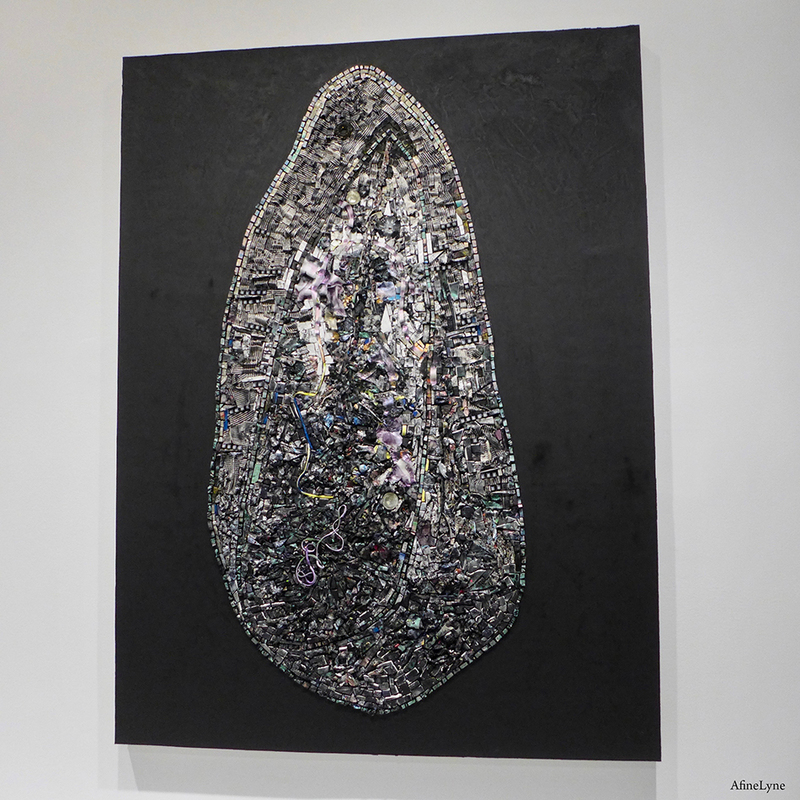 “Named for a rocky outcropping visible from his studio on Crete, the Black Monolith paintings are composed of acrylic tesserae that Whitten painstakingly assembled by hand. Each work in the series honors a leader in the world of black music, art, literature, and politics, from James Baldwin and Jacob Lawrence to Maya Angelou and Chuck Berry. 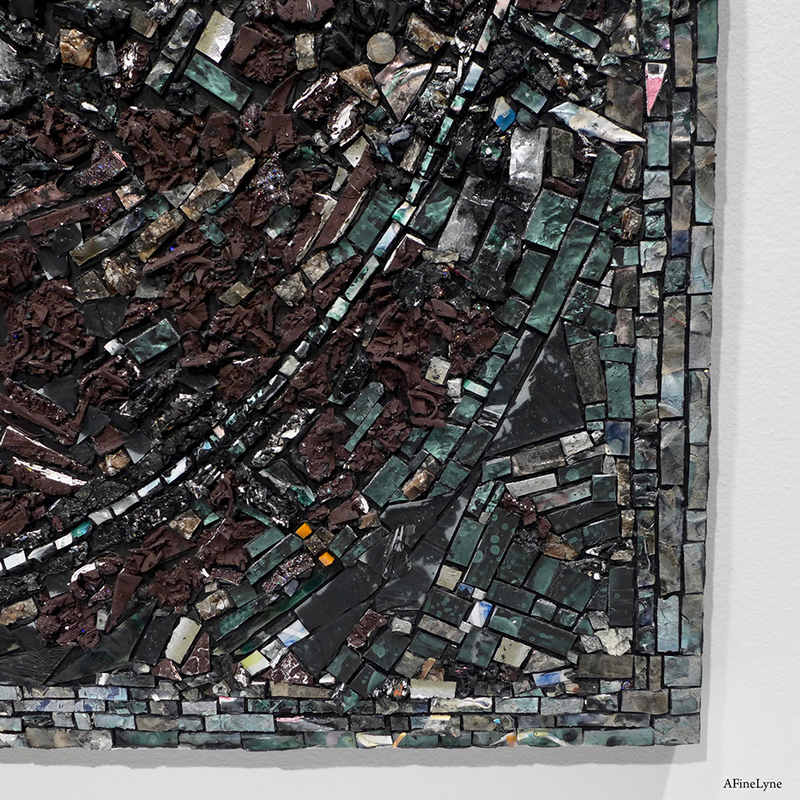 Whitten’s monument to postcolonial poet and philosopher Édouard Glissant, Atopolis: For Édouard Glissant (2014), will also be on view, along with Bessemer Dreamer (1986), a poignant ode to the artist’s place of birth (Bessemer, Alabama) and The Met’s own Delta Group II (1975), acquired the year it was made. 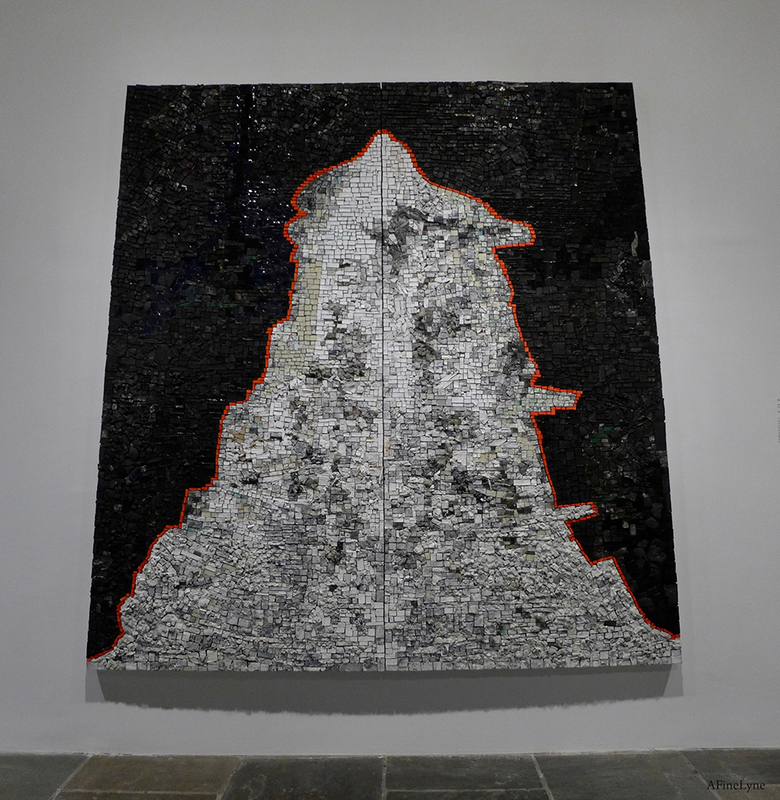 These and other paintings in the exhibition illuminate the technical, conceptual, and thematic parallels between Whitten’s work in two and three dimensions, unifying his practice across media.” Below are a few of the Black Monolith paintings currently on view in this exhibition. 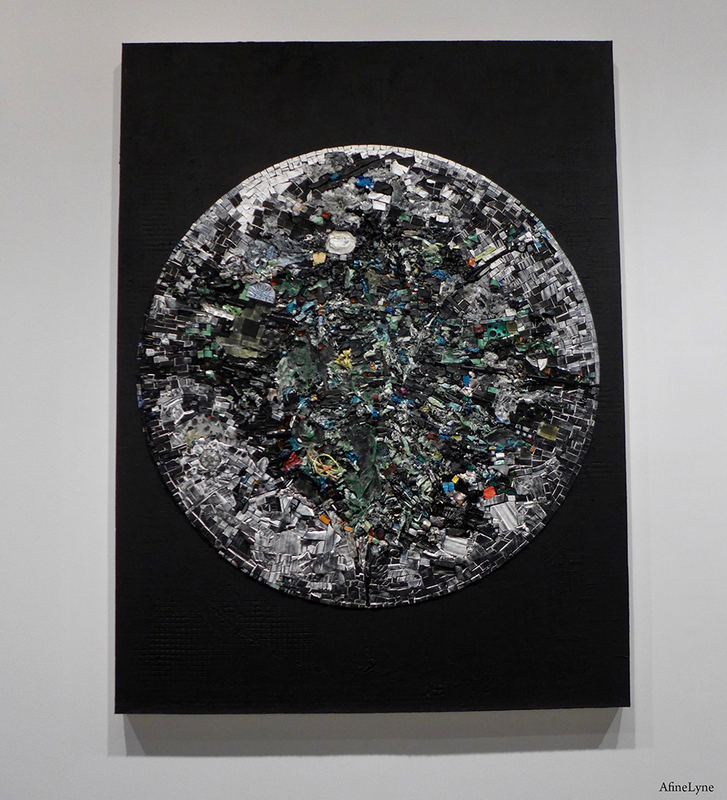 It was interesting to read how Whitten, by the early 1970s, had ‘more or less’ “dispensed with brushes, choosing instead to pour, level, scrape, rake, impress, and incise acrylic paint with a variety of unconventional tools.” In the piece, above, he worked with Styrofoam, acrylic, hair, and eggshells on plywood. For Whitten, this combination ~ title, shape and relief ~ call to mind the African masks that had long captured the artist’s imagination. Black Monolith VII DuBois Legacy: For W.E. Burghardt ~ Created from lustrous acrylic tiles which form the outer border of the shape. The heart is punctuated by bursts of bright color. 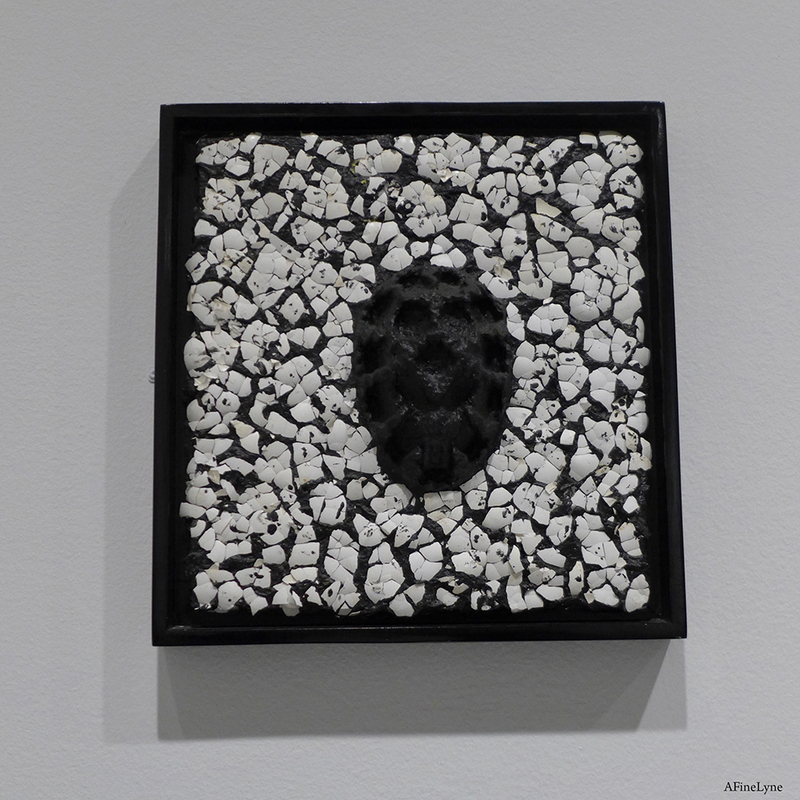 Interspersed along the edge are small units of cured acrylic,, case from found objects and surfaces. The above image, Black Monolith VII, is Whitten’s memorial to W.E.B. DuBois (1868-1963), the first African-American to earn a doctorate at Harvard University; one of the founders of the National Association for the Advancement of Colored People (NAACP); a leader of the Pan-Africann movement; and the author of The Souls of Black Folk (1902). 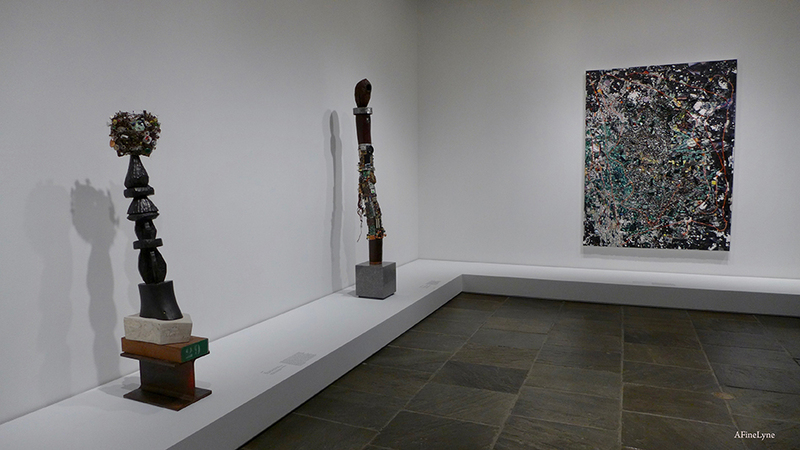 The piece in the center (above) is entitled Technological Totem Pole, with a close-up image below. 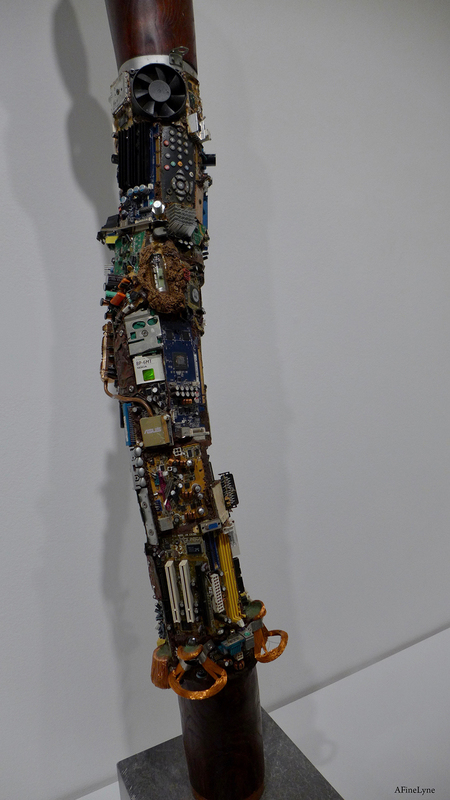 “The work expresses a strong techno-utopian impulse, embracing the potential of technology to create an ideal society. Included in this piece ~ circuit boards, a Braun clock, flip cell phones, and a computer hard drive. 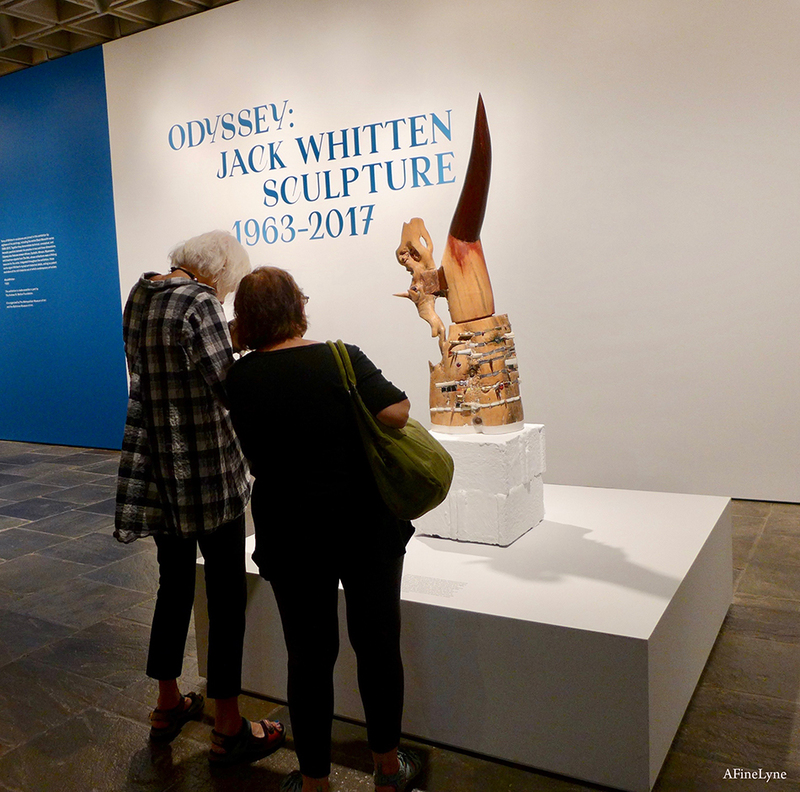 Odyssey: Jack Whitten Sculpture 1963-2017 will be on view at MET Breuer on the third floor to December 2, 2018. 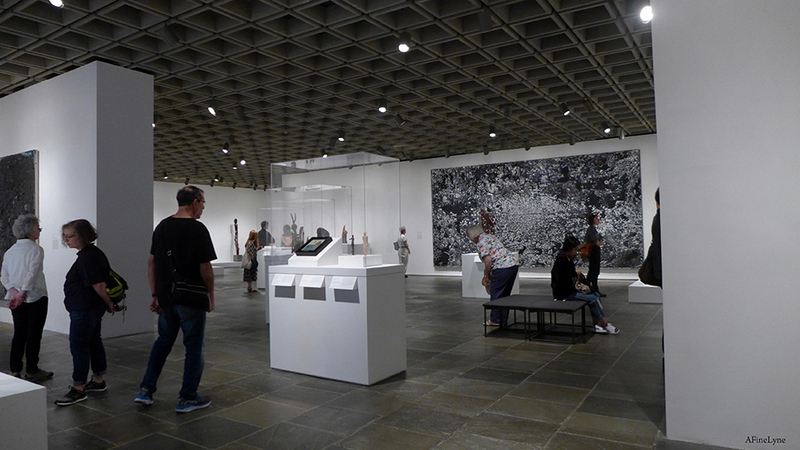 Met Breuer is located at 945 Madison Avenue at 75th Street, NYC. The exhibition will be accompanied by a fully-illustrated catalogue that includes essays by curators Kelly Baum and Katy Siegel as well as Kwame Anthony Appiah, Kellie Jones, and Richard Shiff; an interview with Whitten conducted by Courtney J. Martin; and object entries by Aleesa Alexander, Meredith A. Brown, and Karli Wurzelbacher. More interesting reading ~ Jack Whitten: Notes from the Woodshed is the first publication devoted to Whitten’s writings. It takes its name from the heading Whitten scrawled across many of his texts.